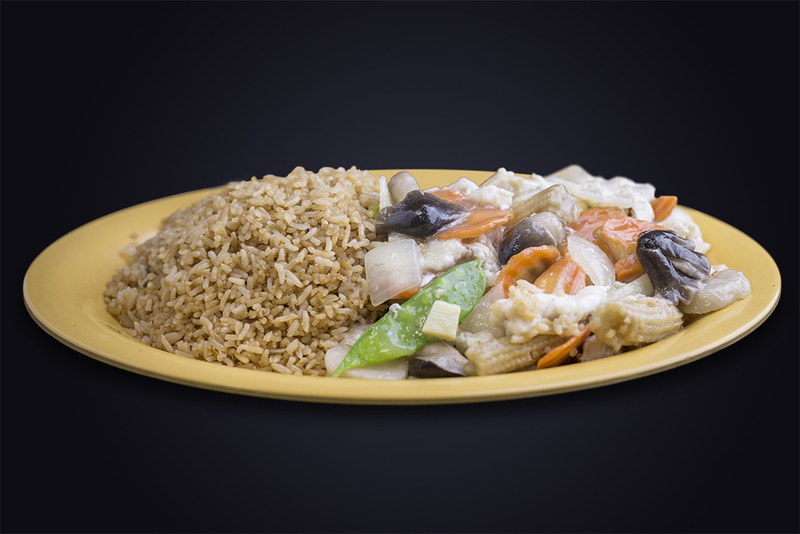 This specialty plate is made with straw mushrooms, snow peas, carrots, onions, bamboo shoot, baby corn, and water chestnuts. Choose from either chicken or shrimp. Served with steamed white or whole grain rice and soup. **Substitute Fried Rice for $1.00 extra.